Cyclists Took 28 Million Bike-Share Trips In The U.S. In 2016, Group Says : The Two-Way Ridership for U.S. bike-share programs was 10 times higher last year than it was in 2011 and, so far, only one traffic fatality is believed to have resulted from bike-share use. 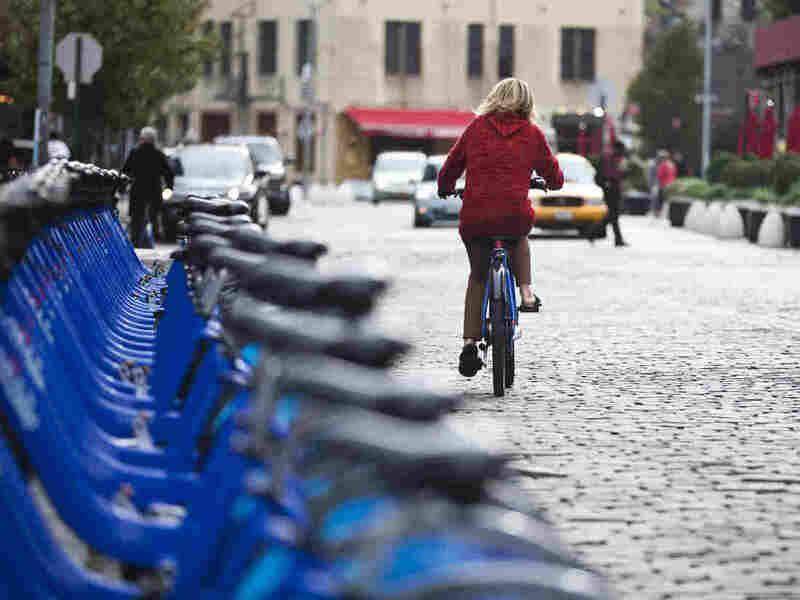 A woman takes out a Citi Bike for a ride from a bike-sharing station in the Chelsea section of New York City.